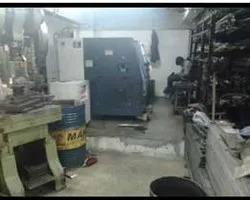 Established in the year 1981, Asian Engineering Works, Mumbai, is one of the prominent Exporter, Manufacturer, Wholesaler and Trader of a wide array of premium quality Conveyor Chains and Sprocket Wheel. The product range comprises of Attachment Conveyor Chain, Sold Pin Conveyor Chain, Bucket Elevator Chain, Bottle Washing Machine chain, Industrial Sprocket Wheel, Honeycomb Conveyor Belt for Food Industries, Conveyor Chains, Industrial Chains, Agricultural Conveyor Chain, Top Roller Conveyor Chain etc. To ensure high standards of quality, these conveyor chains and sprocket wheel are precisely engineered using latest technology and machinery. Owing to the fine finish, impeccable design, minimum maintenance, high efficiency and long functional life, these conveyor belts and chains are highly demanded in the market. Our range of products can be custom designed as per the specifications provided by the customers. These conveyor belts and chains are commonly used in cement, sugar, fertilizer, cargo, food processing, gas & oil and material handling industries. Since our inception, we have been supported by a team of highly experienced professionals. To avoid any hassle in the workplace, our professionals work in close coordination with each other. 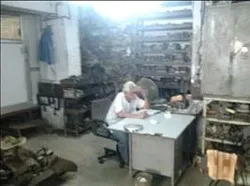 The industry laid quality standard of our conveyor belts and chains is achieved through meticulous in-house quality assurance procedures conducted under the supervision of a team of highly skilled and experienced quality controllers. Driven by an intense desire to attain maximum customer satisfaction, our team of logistic partners assure accurate, safe and timely delivery of the offered conveyor chains and belts at the customer's end. Our company was established as a proprietorship firm with an aim of attaining remarkable success in this domain. We are currently operating under the expert supervision of Mr. Tribhuvan Mulji Dodia. Owing to the excellent management skills of our mentor, we have gained a huge clientele across the world. Some of the trusted customers of our organization are Merit Transmission, ESBEE Machinery Private Limited and Drives Entice from Mumbai. Our exporting countries are South Africa and Middle East. Owing to the highly experienced employees, our company has been able to attain extraordinary accomplishment in this domain. Our company has appointed various professionals after analyzing their technical and professionals skills by rigorous selection procedures. These professionals work in close synchronization with each other to ensure hassle free workplace. Our company believes in providing our deserving employees with regular training sessions that help in polishing their technical skills in the most efficient manner. We have been backed by ultra-modernized infrastructure that is spread over a vast area of land. To ensure smooth and standardized operations, we have segregated our rich infrastructure into various departments. Our manufacturing unit is well-equipped with latest machinery based on cutting-edge technology. 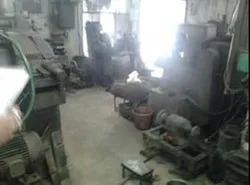 The different types of machinery installed in our manufacturing unit are lathe machines, mechanical press machines, hydraulic press machines, bending machines, cutting machines and welding machines. Owing to our ability to meet the bulk order in stipulated time frame, our company has gained commendable success in a short span of time. Our conveyor belts and chains are highly appreciated for their impeccable design, fine finish, long functional life and low maintenance. With the rich and well connected distribution network, we have gained a huge client base across the world. Some of most trusted customers are Merit Transmission, ESBEE Machinery Private Limited and Drives Entice from Mumbai. Our company has been able to win the trust of millions of customers due to our custom centric approach and transparent transaction business polices. As per the specifications provided by the customers, these conveyor belts and chains can be custom designed on various parameters such as size, length, thickness and dimensions. Driven by an intense desire to attain maximum customer satisfaction, our team of logistic partners assures the delivery of these conveyor belts and chains within the stipulated time frame at the customer’s end.